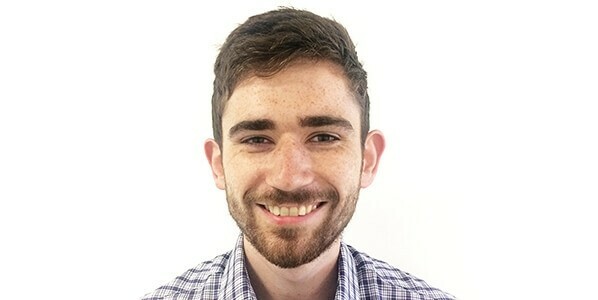 Jason Young completed his BSc in immunology and is currently a medical school student at the University of Edinburgh. He maintains a keen interest in immunology and developed a passion for extreme scientific research. In 2017, he led a research team in an expedition to the Bolivian Andes, 4,800m above sea level, to perform high-altitude physiology research. This is the fifth of a series of expeditions by APEX (Altitude Physiology Expeditions) and certainly not the last. 1. What got you interested in research? I completed a BSc in Immunology last year as an intercalated degree, which involves medical students joining the final year of a biology degree. Whilst a thoroughly challenging year, I learned a lot from my experiences and gained my first exposure to the lab. The inherent complexity of the immune system means several aspects are yet to be evaluated – an observation that fuelled my passion. APEX (Altitude Physiology Expeditions) was founded in 2001 by Drs Kenneth Baillie and Roger Thompson, then medical students at the University of Edinburgh, Scotland. APEX seeks to further our understanding of the effects of hypoxia (low oxygen) on human physiology, by supporting medical students organising high-altitude expeditions. APEX also aims to inspire medical students to consider a career in clinical academia. Since 2001, five APEX expeditions have investigated various aspects of human physiology at altitude, including pulmonary hypertension, fluid leak, and most recently host immune responses, coagulation and vision. 3. How did you get involved with APEX? In my first year at medical school, I volunteered on the APEX 4 expedition to Bolivia in 2014, mainly for the opportunity to travel South America. This trip gave me my first exposure to scientific research as a member of the “plasma team” in a coagulation study, processing samples at 5,200m in the Bolivian Andes. Expedition research in this stunning environment had me hooked! Upon return to the UK, I met with a group of like-minded volunteers to form the next expedition research team, APEX 5. My main role on the team was as a research lead, responsible for a specific project. I was also responsible for gaining ethical approval for our research. 4. Tell us about this year’s APEX 5 expedition. The APEX 5 expedition consisted of 29 student volunteers, 6 organisers, 2 doctors and 1 PhD student. Whilst past expeditions were rooted in investigating high-altitude illnesses such as cerebral and pulmonary oedema, our expedition focused on the effect of hypoxia on physiological mechanisms involved in innate immunity, coagulation and vision. We also had a psychology study investigating the link between personality traits and self-reported acute mountain sickness (AMS). In mid-June we flew to the capital of Bolivia, La Paz, where we stayed for a few days before spending a week at the base camp of Huayna Potosi mountain (4,800m). 5. Were there any highlights from the expedition? A personal highlight was the time spent at base camp with an amazing team! It was great to have such an enthusiastic group who was keen to get involved in our research. From learning basic lab skills to engaging with us about the science, we hope to have fostered a scientific curiosity that will lead to an APEX 6 expedition! Research aside, on days off we were able to hike in a stunning high-altitude environment, which took us above the clouds to several mountains, lakes and glaciers. 6. Were there any challenges? Plenty! Organising a project on this scale presented us with several logistical challenges. Being in a remote setting, access to typical scientific resources such as a -80oC freezer is tricky! One early highlight was explaining to Bolivian customs why we had flown a dry shipper into the country and why it was so essential for the research. Additionally, a freak bout of snow impeded access to our original high-altitude lodge, three days before ascent. Thankfully, we quickly managed to find alternative accommodation at Huayna Potosi. 7. Has the expedition inspired you to pursue a long term career in research after medical school? Definitely! I think it’s fair to say that I’ve been bitten by the research bug. Looking ahead, I hope to pursue an academic foundation placement that will allow me to continue my research interests whilst training as a junior doctor. 8. Science aside, what has been the biggest thing you learned from the expedition? That’s difficult to answer, as we have learnt a significant amount over the last three years of preparation. Probably that whilst being organised is key, in certain scenarios this will only get you so far. Of equal importance is the ability to adapt in order to face unforeseen challenges! 9. What’s next for you and APEX? Since returning to Edinburgh, the organizing committee are in the process of analysing the results of our research, with the aim of publication in the following year. Whilst our days of APEX expeditions are over, the APEX 5 committee still has the important task of assembling the next APEX 6 team from our volunteer team! 1. What were the main immunology research questions? We aim to characterize the effect of hypoxia on host immune responses in a human population. Previous murine work by our group has demonstrated that bacterial infection and systemic hypoxic exposure causes a mortality that is neutrophil dependent.1 This mortality can be prevented by exposing animals to systemic hypoxia beforehand, which pre-conditions the neutrophil response. By using the expedition as a model of pre-conditioning, we aim to investigate these neutrophil responses in a human population. This is important as concurrent hypoxia and bacterial infection is associated with poorer outcomes in humans. We are currently processing our results from the trip. 2. Why do you need to isolate cells for your research? Our immunology project aims to investigate various aspects of neutrophil physiology in response to hypoxia and infection. This requires us to isolate neutrophils from whole blood samples, which then allows us to expose them to infection and hypoxia in-vitro. 3. What method did you use to isolate neutrophils? During the trip, we used two EasySep™ magnets with EasySep™ Human Neutrophil Enrichment Kits. Having previously debated our preferred method for cell separation, we decided to use the EasySep™ kit due to the simplicity of the protocol, in case of any deterioration in mental function associated with hypoxia! The equipment was ideal for our expedition, and worked to perfection with significant yield. 4. 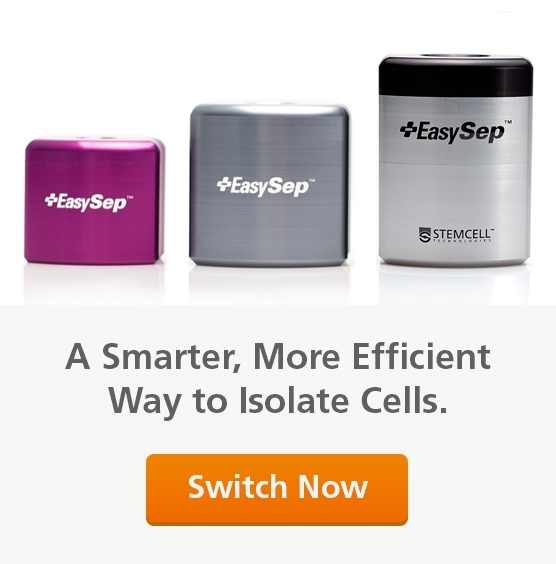 What did you think about the EasySep™ cell isolation protocol? The principle of the separation was easy to explain to the volunteers, who were all fascinated by the work of the magnet! Because of the simplicity of the protocol, many volunteers who had no past experience in science were able to understand the steps and follow the procedure clearly. Watch a short video describing how this immunomagnetic cell separation technology can let you isolate cells faster. Switch to EasySep™ to simplify your immune cell isolation regardless of your altitude! Thompson AAR et al. (2017) Hypoxia determines survival outcomes of bacterial infection through HIF-1α–dependent reprogramming of leukocyte metabolism. Sci Immunol 2(8): eaal2861.